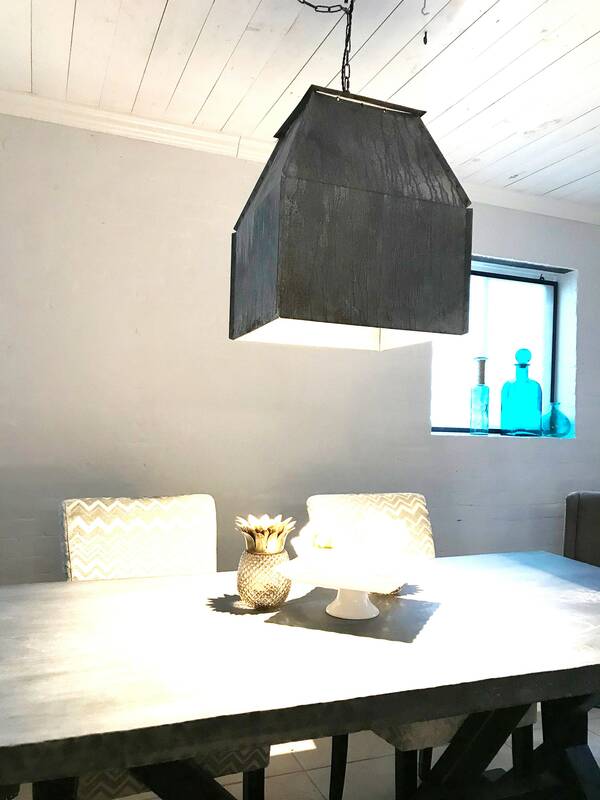 Our handcrafted Zinc pendant light provides instant Rustic industrial charm wherever you choose to display it. The aged zinc finish offers a more rustic look which compliments interiors both modern and industrial. pendant, measures 19"x19"" by 22" high. Includes 3' of chain and matching rustic canopy. hardware for hardwired install included. Light can also be swagged if desired. Light can accommodate up to 100W bulb (not included).